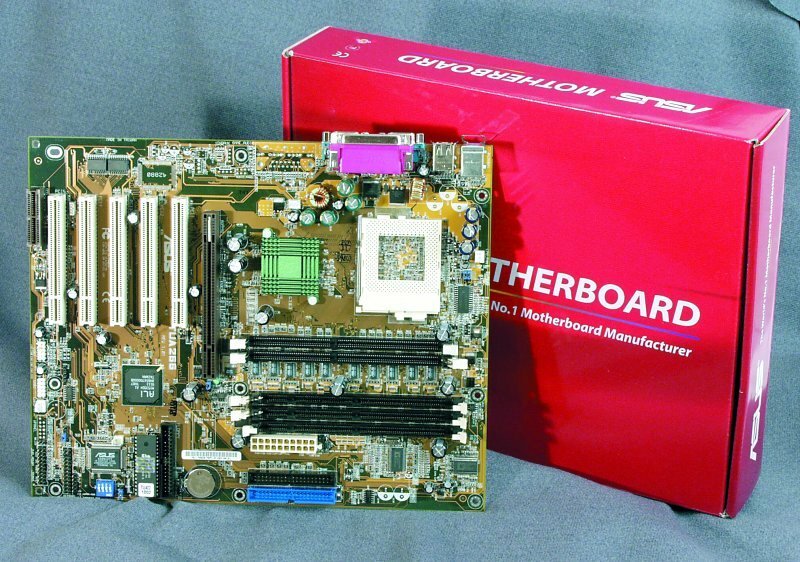 The Pentium III chipsets market is in a funny situation now - everybody knows that a DDR memory coupled with a processor with a SDR bus doesn't provide a considerable performance gain. On the other hand, the price difference between PC133 and PC2100 may be smoothed out very soon. That is why chipsets for Pentium III with DDR support are still developing. Well, why not? The Aladdin Pro 5T is not a new model, it is just the second version of the Aladdin Pro 5. The "T" letter in its name stands for support of Pentium III on the Tualatin core. And now this chipset doesn't only exist on paper: there is at least one motherboard based on it - ASUS TUA266. I have already mentioned that the PC2100 DDR SDRAM together with the CPU Intel Pentium III (or Celeron) will hardly increase the performance much since the processor bus has a bandwidth twice narrower than the memory. The chipset manufacturers are well aware of it and do not place production of this chipsets into the first position. Taking these facts into consideration I assume that today we have gathered all chipsets which will ever be released for the Socket 370 platform. * The memory frequency cannot be lower than 66 MHz and higher than 133 MHz. 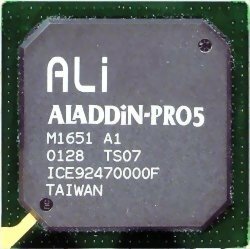 The table shows that the ALi Aladdin Pro 5T is an intermediate between the VIA Apollo Pro266 and SiS 635: on the one hand, it supports a large RAM, on the other hand, it obviously doesn't have a multiprocessor and ECC memory support. But as a matter of fact, it has an older architecture than the SiS 635 - almost every manufacturer has refused a PCI bus as a connecting link between bridges. There are only ALi and AMD who still keep on doing it. By the way, the HyperTransport bus developed by AMD is already licensed by ALi, and exactly this bus will probably be used by ALi instead of the PCI one. As for differences between these chipsets, I think they are not critical. And you will hardly face any problems caused by usage of one chipset instead of another. The testing technique and a set of tests are the same as they were for the VIA Apollo Pro266 and SiS 635 (see SiS 635 review). You may object saying that at the time passed the boards could acquire new BIOS versions, new drivers etc. That is why we conducted mini-tests in Quake III, SPEC ViewPerf and Cachemem in order to find out whether the new BIOS version affects the performance of the board tested earlier. Well, in this case no changes were noticed, that is why we have taken old results for three boards from the review mentioned above. ASUS is known as a company that squeezes out a chipset to get the highest performance possible. That is why the tests will demonstrate the performance of exactly the chipset rather than of the board. Well, the Ali's chipset loses in all tests, regardless of the memory type used. The low-level test of the memory subsystem efficiency - Cachemem - reveals the reasons. In the speed of reading the ALi's chipset yields to the slowest competitor by 20%! Well, ASUS didn't want to be out of the game and thus released a DDR chipset for the Socket 370 platform, like 3 other manufacturers of chipsets for x86 platforms. 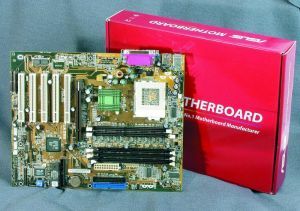 Traditionally, ASUS produces boards on the chipsets for Acer Labs Inc., at least one for each chipset regardless of its popularity. The product is not sensational, but its characteristics are rather good: support of all SDRAM types (PC100, PC133, PC1600, PC2100) and new Pentium III on Tualatin, UltraATA/100 and 6 USB ports. As for the board, there is also nothing bad that we could say about it. There is even an AGP Pro connector on it. The sound subsystem is, however, absent. But this has already become a tradition for a certain range of products for the leading Taiwanese board maker (for example, CUSL2-C (i815EP), CUV266 (VIA Pro266)). The performance is not striking. But if we compare two ASUS boards which have almost the same functions - ASUS TUA266 on the ALi Aladdin Pro 5T and ASUS CUV266 on VIA Apollo Pro266, we will see that while the TUA266 costs $95, the CUV266 is available at $118. I suppose other board makers have the same price ratio. What other attractive features does this chipset have? Well, it's a Tualatin support. 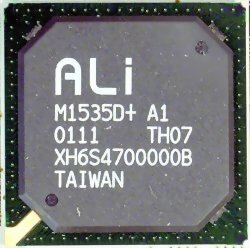 This low-end chipset from ALi is intended for all low-end motherboards supporting all modern standards and both SDRAM types. Its major competitor is probably the SiS 635. From the performance viewpoint, the SiS 635 looks more attractive, but here everything depends on a manufacturer. The ALi Aladdin Pro 5T has already reserves a place in the line of ASUSTeK. Besides, there is a definite group of users who are guided by exactly the name of a manufacturer rather than by the speed and accessories of a board. A "full-sized ATX board from ASUS with PC2100 DDR and PC133 support at $95" will be a determining factor for them. And I can't say they are wrong. P.S. The prices are given for the Eastern Europe.